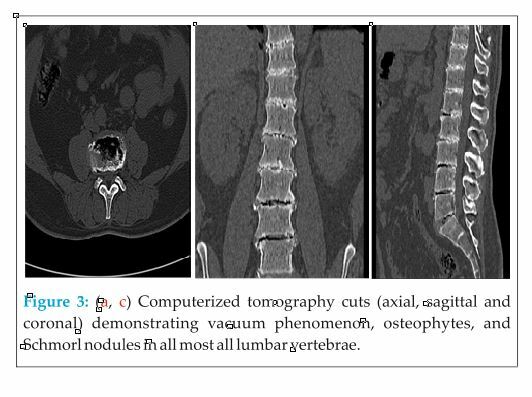 Low back ache as the primary presentation of alkaptonuria. Department of Orthopaedics, Dr. RN Cooper Hospital, Vile-Parle, Mumbai, Maharashtra, India. 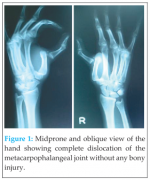 Department of Orthopaedics, University College of Medical Sciences & Guru Tegh Bahadur Hospital, Delhi, India. Dr. Aditya C Pathak, Neelam Nagar Phase 2, J-11/204, Near Jain Temple, Mulund-East, Mumbai – 400 081, Maharashtra, India. Introduction: Alkaptonuria is a very rare inborn error of amino acid metabolism due to deficient homogentisic acid (HGA) oxidase enzyme leading to accumulation of HGA in plasma, cartilage, other tissues of human body and its excretion in urine. It has both systemic and peripheral signs and symptoms. Though low back is a common symptom of alkaptonuria but, in the absence of ochronosis it is rare. 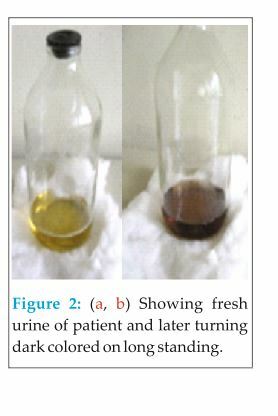 Alkaptonuria itself is very rare occurrence with no specific treatment option available to reverse the effect as yet. Case Report: A 38-year-old male, embroidery worker presented with chronic low back ache with history of staining of clothes in infancy. Later on laboratory and the radiological investigation patient was diagnosed to have alkaptonuria without ochronosis. No other systemic manifestation was present. Patient was treated conservatively and responded well. Conclusion: Though alkaptonuria is a very rare disease, and the occurrence of low back-ache in absence of ochronosis is much rarer. One must be aware of this inborn error of metabolism. 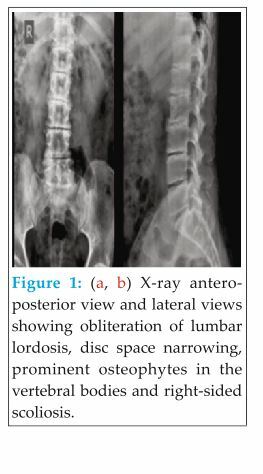 Early diagnosis though being “diagnosis of exclusion” for low back-ache, high index of suspicion is advantageous as symptomatic treatment of the alkaptonuria can be initiated and evaluation of other systemic organs can be done in early stages itself. Keywords: Alkaptanuria, Homogentisic acid, Inborn metabolic disorder, Low back ache, Onchronosis.